In my Mindful Ice Bucket video, I talked about how to welcome life's experience, however cold or wet it makes you. Then, the very next day, I came down with acute appendicitis. Now this certainly raised the stakes. So this month I ask: how do you welcome experience which is decidedly grim? Scroll down for my very own Hospital BFTA's = 'Big Friendly Thanks Awards'! 1. This isn't all of me! I'm lying in bed, holding my belly and groaning. It's the small hours of the morning, I'm all alone, and I don't know what's wrong. Suddenly, I'm swept by a wave of pain so intense it feels like the whole of me. At times like these, welcoming experience might seem like a daft idea. But actually, fighting it is much worse. Saying "No" to what is happening is, of course, a logical thing to do. Who wants to be overcome by bad feelings? Whether physical or emotional, we naturally turn away from what hurts us or causes us stress. However bad something feels, remember it is not ALL of you! But here's the thing. When I tried to say 'hello' to my pain, it was hard to do - because I really felt as if the pain was all of me. How could I say hello to something that 'is me'? There was nothing (else) there to say hello to! So I did something new. I pictured this person - Me-with-my-pain - and wondered what she was like. 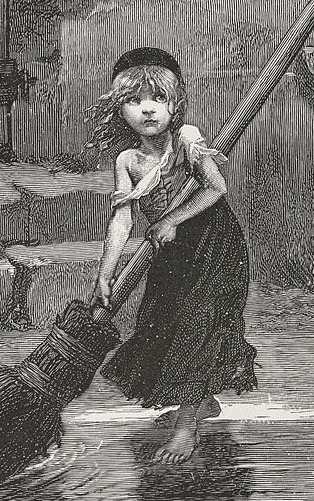 Immediately, I saw an image of a desperately bedraggled, rag-clad wretch; she could have walked straight off the set at Les Misérables! Although I knew my own plight was not so grim, the image spoke to me. From the point of view of my feelings, this is really how it felt! Now I knew what to say hello to - to that image, and all it represented. I could greet my feelings with curiosity and empathy. What's this [pain] like ...? What's it 'as if' ...? What is this 'me' like, who is feeling all this ...? So groaning pitifully with my acute appendicitis, on that eventful night, I started to greet the pain. At first, this seemed counter-intuitive. It even made the pain grow stronger, because now I was really agreeing to feel it - how mad is that! No wonder it feels so bad! As soon as you say hello, you become a little separate from what hurts - and at the same time, more warmly connected with it. Your perspective starts changing. Your attitude shifts, and your feelings follow. Warm understanding seeps slowly through you. You feel sorry for yourself - but in the best way! When you greet your experience like this, empathy and compassion flow naturally. Now, even the grimmest things feel more manageable and easier to hold. I have worked with over 1,000 trainee doctors and consultants in the last 10 years, and witnessed their dedication behind the scenes. Now, for the first time, I see them from the other side as a hospital patient. I came away deeply touched by the care and expertise which surrounded me. It's great to have the chance to sing the praises of the NHS! In hospital, the surgery given by Ms Anita Balakrishnan was superb; and the anaesthetists beneath Dr Sally Proctor amazingly kind and reassuring. Back in the ward, Vickie Jones and Ellie Bennett managed the team of nursing staff and assistants whose sweetness and care leaves me permanently enriched. I may have lost an appendix, but much more has been added to my heart!